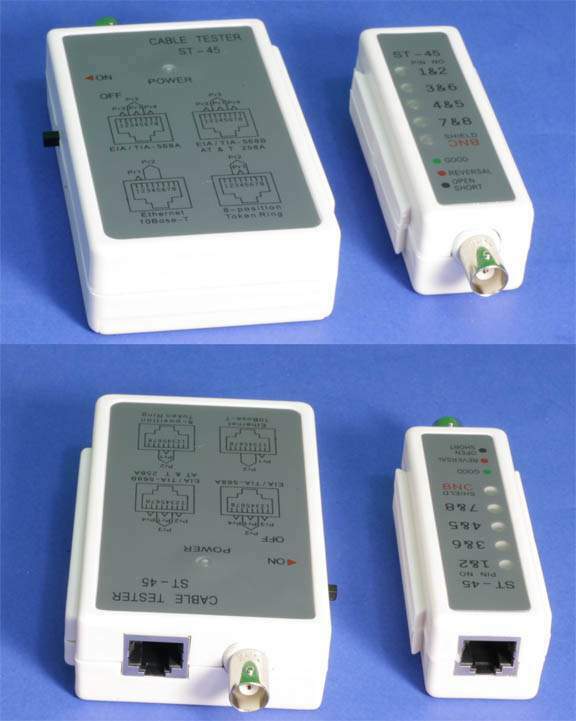 Battery-operated network RJ-45 cable Tester. Tester also tests BNC network cables. This in Expensive tester is great to check wires on the Job. A must have for Every computer Technicians Tool Box.